Innerlife STS is organized around research-established principles that have been scientifically demonstrated to evoke positive changes. Innerlife STS integrates the two traditional research methods that have been used to address treatment effects. This unique “Principle-Based” approach reduces the many alternative approaches to understanding to the common goal of establishing treatment in mental health upon sound scientific foundations. This integration is easily seen in its ability to extract clinically useful findings from two distinctive scientific traditions in mental health treatment research. The Clinical Trials method was initially developed in medical research and has been adopted and used widely to study both pharmacological and psychosocial treatments in mental health. These methods focus on the intended acts and interventions of the clinician and the principle and often only contributor to effective change by comparing the effects of interventions with diagnostically similar groups of patients who have received no treatment or a credible placebo (inert) treatment. The strength of this approach is that it relies on randomly assigning patients with similar diagnoses to the various treatments and then applying strict standards to the assessment of the benefits achieved. The weakness of the Clinical Trials Methodology is that it does not take into account factors that are not directly related to the interventions, theory, or techniques that are used by the clinician. Many patients who need help do not have clinical diagnosable conditions and thus are rarely studied in this type of research. Moreover, the role of the patient’s family and friends, outside environment, the therapist’s compatibility with the patient, and the fit of the treatment to the particular and individual needs of the patient are often ignored in this tradition of research. The Common Factors method seeks to identify effective treatments by identifying the role of various patient characteristics and participant qualities that are common to all treatments. This method results in a list of therapist, environmental, and situational qualities that can be varied in treatment in order to enhance the effectiveness of the clinician’s specific interventions. 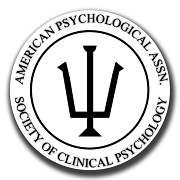 Unlike the Clinical Trials method, which addresses the question of the effects of the type of treatment used by the clinician, the Common Factors approach looks specifically at the personal style of the therapist, the quality of the relationship that can develop between patient and clinician, and the context in which treatment is given. This approach is designed to focus on the range of actual factors and settings in which treatment is actually practiced. The Innerlife team has pioneered the Principle-Based method that integrates the Clinical Trials and Common Factors methods in order to identify how the patient’s background, personality, problems, and unique history interact both with the specific treatments that can be effectively used by the clinician and the personal style and skill of the clinician to ensure the best and most personalized mental health care for the patient. Each of the methods address different sets of qualities that affect mental health care outcome. The Clinical Trials method seeks to find optimal treatments for each patient with a particular diagnosis or disorder. Its focus is on the role of specific techniques and interventions used by a clinician in effecting change in these various “disorders”. This method, however, is not well suited for identifying and blending the many contextual and extra-therapy contributors to outcome that comprise the preponderance of mental health care effects, or for identifying what is effective for those who do not have a formal “disorder”. In contrast, the Common Factors method is best suited for studying the very contextual and extra-therapy factors that are often ignored in Clinical Trials method. The Innerlife STS System draws upon both the Clinical Trials and Common Factors methods to identify ideal treatments and to utilize the practical significance of participant, contextual, and relationship factors that are involved in enhanced mental health care effects. The Innerlife STS System provides a broad framework that allows integration and balance between the emphasis on ideal treatments and the practical significance of participant, contextual, and relationship domains that are addressed in effectiveness research. Mental health care must be considered to extend beyond the particular methods applied. This includes not only the foregoing items, but also therapeutic aspects of the mental health care setting, the context in which the patient lives, and the influence both of the techniques and procedures used by the clinician. Addressing these factors enables the Innerlife STS system to provide an empirical response to several important questions that may be raised by the patient and clinician. Is a behavioral health problem present? How impaired is the patient’s functioning? How great is the risk for destructive behaviors? What major behavioral health treatments and types of interventions should be considered for this patient? What behavioral health treatment methods and procedures are likely to be less than optimal for this patient? What contextual and non-diagnostic patient factors should be considered in selecting or assigning a particular clinician to manage this patient’s treatment program? What is the likely course of this patient’s major problems and risk level over time? What self-help resources are available for the patient? The Innerlife STS System is designed and built with these real-world scientific research principles and mental health realities in mind. Connect with Innerlife STS on Linked-in by clicking on our logo below.